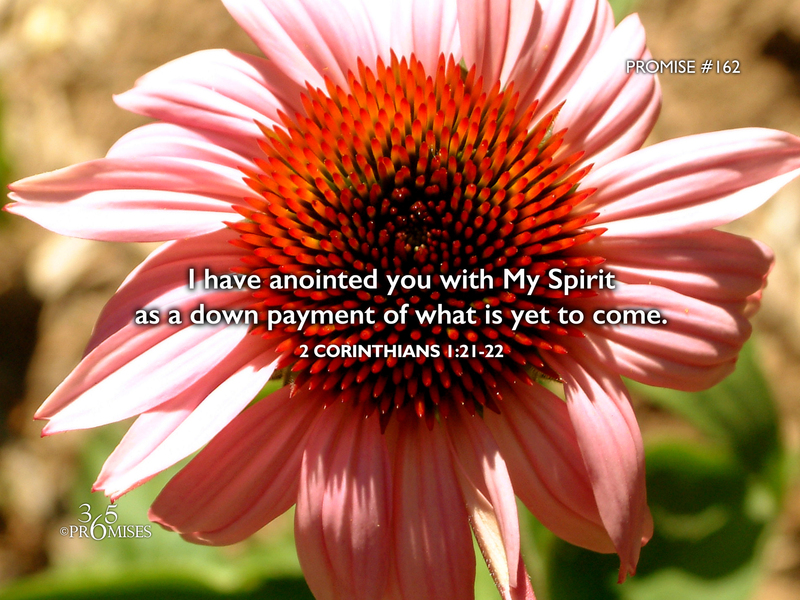 I have anointed you with My Spirit as a down payment of what is yet to come. It is amazing to think that God gave us His own Holy Spirit to anoint us and to seal us with His very presence. The gift of His very own heart is but a down payment of what is yet to come! In 1 Corinthians 13, Paul's says that we only see in part, but one day we will see Him face to face. The proof of our citizenship in heaven is that God has placed His own Spirit in the very core of our being now. The NIV Bible says that He set His "seal of ownership on us, and put his Spirit in our hearts as a deposit, guaranteeing what is to come." What an amazing promise. We belong to God! There is so much we have to look forward to throughout all eternity because of His desire to make us His own!